Miles O'Brien was born in Ireland, Earth, in September 2328. O'Brien claimed he could trace his ancestry back to the 11th century Irish king Brian Boru (whom he occasionally played in a holosuite program). Another notable O'Brien ancestor was Sean Aloysius O'Brien. O'Brien was proud of the fact that he was raised on real food as his mother believed that replicated food was less nutritious. When preparing meals for her family, his mother would handle and cook meat. O'Brien had two brothers. His mother passed away in 2368 and his father, Michael, remarried a year later, though Miles never met his new stepmother. His relationship with his father had been a somewhat rocky one during Miles' adolescence; Michael had pushed Miles to pursue his music career, making him practice at least once a day, and was somewhat upset by his son's enlistment in Starfleet. When Miles was seventeen years old, his father sent a recording of his work to the Aldeberan Music Academy. O'Brien declined the offer of admission to the music Academy and enrolled in Starfleet – against his father's wishes. The two later reconciled their differences and O'Brien's father was eventually extremely proud of his son and his accomplishments. As a child, O'Brien had a morbid fear of spiders. Following a mission on Zayra IV where O'Brien was forced to make a critical repair in a Jefferies tube containing Talarian hook spiders, he found that his fear had lessened, and he later kept a Lycosa tarantula, named Christina, as a pet aboard the Enterprise-D. In 2345, at the age of 17, O'Brien joined Starfleet as an enlisted crewman. His father had wanted Miles to take up a place at the Aldebaran Music Academy and become a concert cellist, but he chose a life in Starfleet instead. As of stardate 49648.0, O'Brien had served aboard a half dozen starships, participated in 232 separate combat engagements, and been decorated by Starfleet on fifteen occasions. Because of his impressive military record O'Brien was recognized by a formal Starfleet inquiry as an expert in starship combat. O'Brien's career was so well respected that Captain Keogh of the USS Odyssey considered the chief's experiences an asset before launching a rescue mission for Commander Benjamin Sisko. 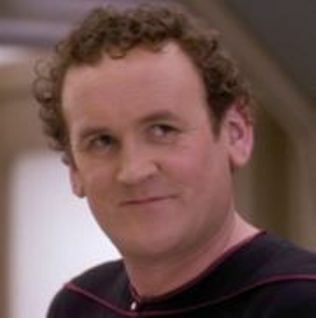 O'Brien was even styled "the hero of Setlik III" due to his actions in an engagement with Cardassian forces on that planet, a title he seemed to tolerate rather than enjoy. During a salvage mission to Empok Nor, Elim Garak challenged O'Brien to a game of Kotra, saying he would love to play against the "Hero of Setlik III." One of his first assignments was aboard the USS Rutledge under the command of Benjamin Maxwell, where he served as junior tactical officer during the Cardassian War. A year later, O'Brien was present at the aftermath of the Setlik III massacre, where his technical skill was useful in repairing a field transporter, allowing himself and thirteen other Starfleet personnel to escape a Cardassian patrol. This earned him a promotion to primary tactical officer. O'Brien also served as part of a squad to aid the survivors of the massacre, as Cardassians were still patrolling the settlement; he helped a group of women and children but was ambushed by two Cardassians. He was able to incapacitate one of them, but in fighting with the other one he accidentally killed his assailant when a phaser passed to him was set to maximum. Until then, O'Brien had never killed anything or anyone (he was even worried about swatting mosquitoes as a child) and the incident left him with a deep-seated resentment towards Cardassians, bordering on outright racism on occasion. He often referred to them by the derogatory term "Cardies." Many years later, he remarked to Glinn Daro that it was not Cardassians that he hated, but rather the person he became because of them. O'Brien transferred to the USS Enterprise-D in 2364 with the rank of chief petty officer, under the command of Captain Jean-Luc Picard. During the Farpoint Mission he was assigned as relief flight controller. Later that year he was transported to the year 2379 in a different quantum reality. After arriving in the Delta Quadrant Miles was assigned to the team with Commander Crusher from the Hawking to install the quantum slipstream drive onto the Enterprise-D.